I have never seen a Brownish Lily, but I say "why not?" 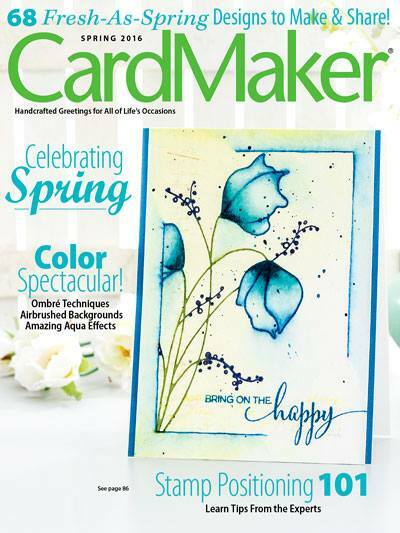 The Create Something Catchy Challenge is looking for watercolor cards, and I am thinking there might not be anything "catchier" than a brown flower. Lots of gorgeous browns, golds and woodgrain! 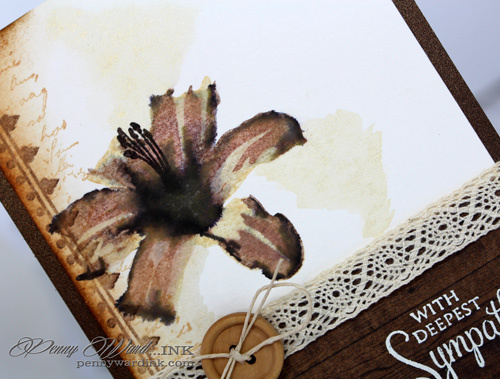 The Lily was inked, misted and stamped onto watercolor paper. Though you can't see the shimmer in the picture, I used Delicata Golden Glitz as my "paint" around the flower. Left edge was stamped and inked also. Woodgrain pattern paper and the oh so lovely Doily fabric ribbon was added. It might not be realistic, but I like it! wow do the browns work - love the card! I am impressed - this is very lovely and yes, indeed, it does work in brown!! I love the addition of that pretty lace below your flower - so awesome!!! Take care and keep smiling!! Liking it. I used Delicata Golden Glitz ink too, on my card. Very beautiful colours and great interpretation of our inspiration photo. Thank you for joining us at Altenew challenge.